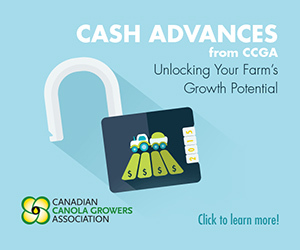 Replacing the current national five-year agricultural policy framework: Growing Forward 2 (GF2) program (expired March 31, 2018), is the Canadian Agricultural Partnership (CAP) program which will invest in Alberta’s agriculture industry over a five-year period from April 1, 2018 to March 31, 2023. 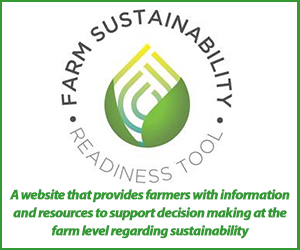 To support producers in advancing sustainable production while mitigating carbon emissions that impact air and soil quality and adapting to climate change. Producer applications will be processed through first come-first serve merit or by panel review, consisting of Subject Matter Experts. First come-first serve merit will cover applications that do not require a site inspection, the risk can be clearly identified on the application and verified by aerial photos and by the applicant responses. All other applications that require a site inspection will be processed through panel review. The program will have scheduled dates throughout the year; this will ensure applicants are aware of the deadlines for application submission and know when a decision for their project will be made. The panel will review each application and determine the cost share percentage. The cost shares being proposed range from 30%, 50% and 70%, maximum funding is $100,000. There will be a funding list, the types of projects will be similar to GF2 Confined Feeding Operation and On-Farm Stewardship Programs. The funding list will act as a guide; if the program receives an application that addresses a water quality or GHG risk but may not fall under the prescribed funding list activities, it will still be reviewed by the program. Once the list has been finalized, it will be sent out for distribution. A valid EFP (Environmental Farm Plan) is a prerequisite to the program. EFP has implemented a 10-year renewal starting 2018, an EFP completed before 2008 will not be considered valid. Application forms and guides are now available. The program will also be a merit-based process with three intake cycles per year. 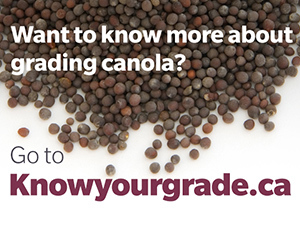 Eligible applicants include: Applied Research Associations, Forage Associations, Agricultural Commodity Groups, Rural Municipalities, Agricultural Watershed Groups. There is no prescribed cost share and maximum funding is still being determined. Helping industry position itself for success in a low-carbon economy. Helping industry improve its ‘carbon literacy’ and understand its risks and opportunities regarding GHG emissions. Helping industry organize itself in light of its GHG risks and opportunities. Minimizing resource waste, optimizing resource utilization. A commodity group organizing a series of energy audits for its members to identify opportunities and benchmark performance. A commodity group undertaking a Life Cycle Assessment of its product to identify opportunities to reduce GHG emissions. A group investigating barriers to no-till adoption among its members. A group looking to promote the 4R system of managing nutrients. A group investigating economic consequences of pursuing lower-carbon options by its members. A group doing extension activities regarding industry’s GHG risks and opportunities. Support producers to improve their water supply security and more effectively and efficiently manage their on-farm water resources. Support producers to protect their water resources through beneficial management practices. Provide technical assistance to producers to complete an assessment for the management of their water resources (e.g., Long-Term Water Management Plan). Construction of new water sources such as wells, dugouts, spring developments, dams, and pipelines, and connections to multi-user water supply pipelines. Protection of new and existing manmade water sources using beneficial management practices (e.g., off-site watering for dugouts and vermin-proof caps for wells). Management of water supply risks through well decommissioning, well pit conversions, water meters, and water well depth measurement equipment. A Long-Term Water Management Plan (LTWMP) is a pre-requisite for this program. Projects must be identified in a LTWMP that has been approved by an AF Water Specialist prior to starting any construction work or incurring any expenses. LTWMPs that were approved during GF1 and GF2 are still valid if they are accurate and identify the eligible water project you are interested in completing. The purpose of this program is to reduce greenhouse gas emissions and increase water savings in irrigated agriculture by assisting producers with the purchase of more efficient irrigation equipment and systems. The program assists producers with eligible costs incurred for the purchase and installation of a new low-pressure centre (LPCP) pivot irrigation system, a drip irrigation system or an upgrade of an existing irrigation system. New low pressure centre pivot to replace a gravity, side-wheel or high pressure centre pivot. Retrofit of a high pressure centre pivot to a low pressure centre pivot, including booster pumps, nozzle packages and pump modifications. High efficiency sprinkler nozzles and related equipment to upgrade an existing low pressure centre pivot. Variable-rate irrigation equipment (controllers and software). Control panel upgrades, including base stations for telemetry. Surface or subsurface drip irrigation systems. 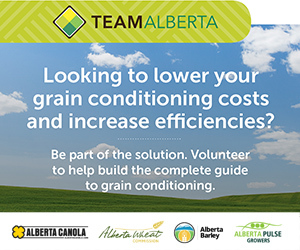 Operate as a producer in Alberta. Own an irrigated agricultural operation in Alberta. Have a Long-Term Irrigation Management Plan. Have not been previously approved for payment from the program on a given parcel. $15,000 for an upgrade on a given parcel from a gravity, side-wheel or high pressure centre pivot irrigation system to a new low pressure centre pivot or subsurface drip irrigation system (minimum 20 acres).